The French Riviera is one of the most storied vacation destinations on earth. 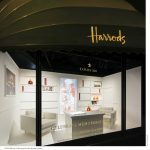 All the exquisite sophistication of France pours down the Rhône to meet the breezy, sun-drenched Mediterranean. 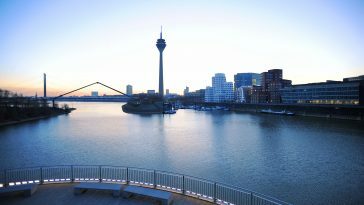 This region is a major tourist destination, so some planning is needed before a trip. To avoid crowds you might want to travel in the spring, or in September. While offering a full taste of Provence in a single article is impossible, do consider this an amuse-bouche. 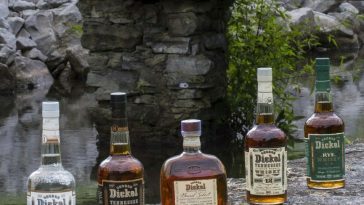 We begin our tasting in the north, travel south, and then to the west. All the exquisite sophistication of France pours down the Rhône to meet the breezy, sun-drenched Mediterranean. 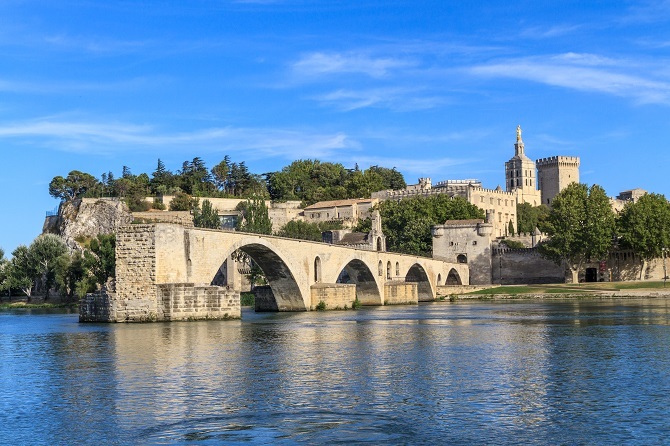 Avignon began as a walled stronghold, so secure that a 14th-century pope moved the papal residence there and built the grand Palais des Papes in the city center. Along with the fortified residence of Pope Benedict XII, another architectural gem is the region’s ancient Bories village. It is a historic monument of sturdy stone structures, made without the use of mortar, with stonework fitted so skillfully that the huts still stand after hundreds of years. The Roussillon hills and Fontaine Vaucluse springs are also not to be missed. After a long day of exploration, a drink at an open terrace cafe can refresh the spirit. 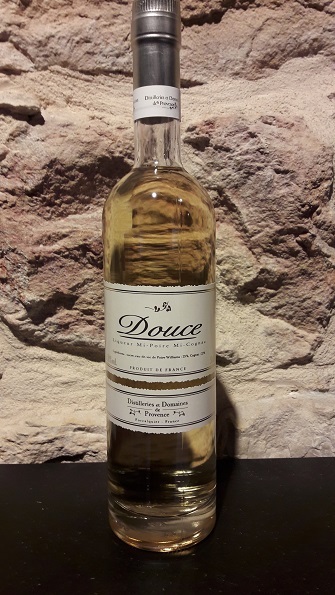 Farigoule de Forcalquier, a thyme liqueur, and Douce, a pear-flavored cognac liqueur, are both local favorites that are distilled nearby. For dinner, Estaminet Arômes et Tentations provides a fine introduction to the flavors of Provence in a casual and intimate atmosphere, and they do amazing things with fresh Mediterranean prawns. For lodging, there is Auberge De Cassagne, an open, pleasant inn with French country charm. The Hôtel La Mirande is rife with antiquities and the old world elegance of dark woods and rich textiles. 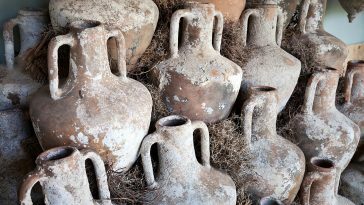 A historic town settled by Roman centurions, history seems alive in Arles. Not least because of the Roman aqueduct and the massive Arènes d’Arles, where you can still enjoy a show in an amphitheater the Romans built many centuries ago. 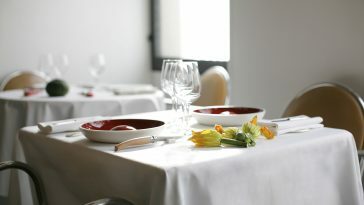 Arles is also home to a Michelin-starred restaurant, La Chassagnette, where Chef Armand Arnal provides organic delicacies. To the southwest of Arles, along the coast, is Le Grau-du-Roi, a quaint fishing village where Ernest Hemingway honeymooned and, of course, fished and drank. 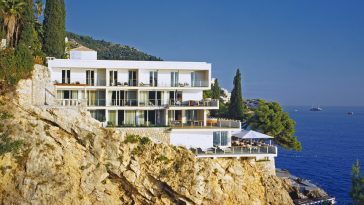 It’s a perfect place to enjoy a pastis and a first look at the Mediterranean Sea. To the east is the Musée Estrine, where one can discover the works of Van Gogh and take the opportunity to walk in the artist’s footsteps. Dozens of his finest works were inspired by his time in Provence. 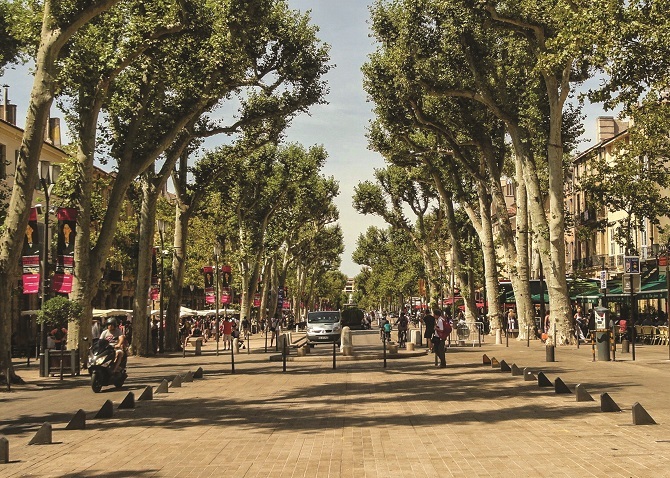 Aix en Provence is home to vibrant and eclectic open-air markets where one can find the latest in fashion, the freshest in herb-rolled goat cheese, and lavender bouquets the region is so well known for. There are fine vineyards nearby as well, such as Château du Seuil, with manicured French gardens nearly as breathtaking as their vibrant rosé blends and big, powerful Sauvignon, Syrah, and Grenache blends. The 17th-century Hotel de Caumont is a period mansion, replete with period furnishings and impressive architectural flourishes. Older than even the Roman feats of engineering to its north, Marseilles was founded by Greek traders as a port town. The Palais Longchamp, with its elaborate fountains, is a great place to start one’s journey around Marseilles. From there it’s not hard to find the Notre-Dame de la Garde cathedral, as it towers over the rest of the city with its whitewashed towers and ornate interiors. 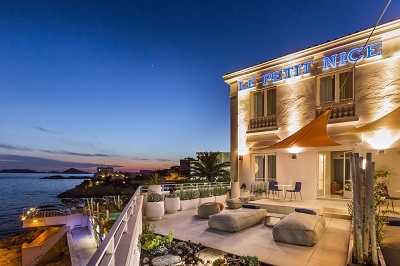 Those seeking refreshment in Marseilles need look no further than Le Petit Nice, the Michelin-starred restaurant of Chef Gérald Passedat (who offers cooking classes), which also features a Mediterranean garden and shops. 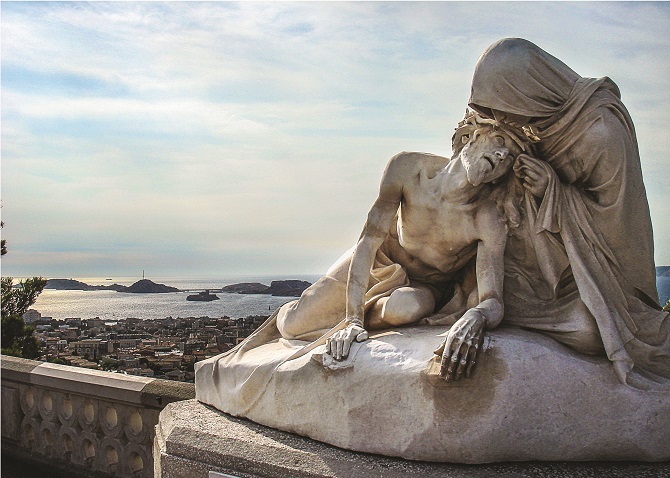 Marseilles offers a plethora of lodging options, from the modern Mediterranean chic of Le Ryad Boutique Hotel to the opulence of the Grand Hotel Beauvau Marseille Vieux Port, which, as the name would suggest, offers stunning views of Marseilles’ harbor. 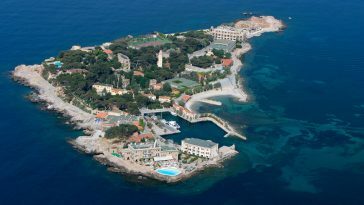 The coast southeast of Marseilles offers numerous delights. The town of Cassis is perhaps the best place to enjoy a Kir cocktail, the town’s namesake liqueur. For those who enjoy swimming and sailing, Les Calanques offer emerald green waters and the privacy of coves hidden among the towering white stone cliffs. The Château d’If is not far from the Marseilles’ coast and is a necessary stop for any fan of Alexandre Dumas. A breathtaking drive is the Corniche des Crêtes, a road that travels along the top of the region’s sea cliffs and begs to be engaged by the tires of a Porsche. 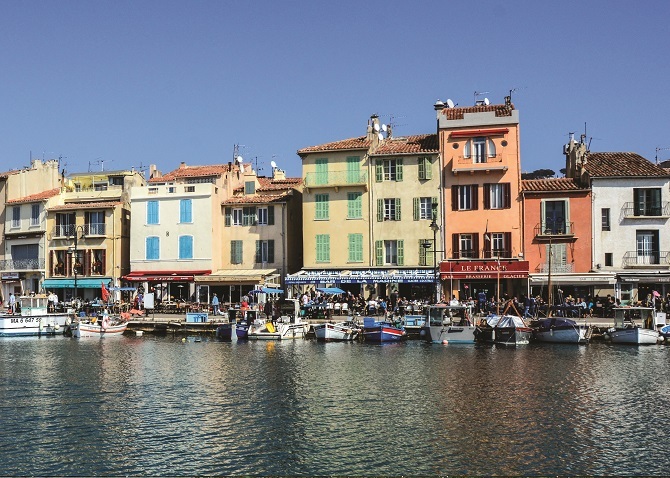 The sun-drenched shores of Saint-Tropez are a fitting finish to any exploration of Provence. Enjoying the Mediterranean climate at Pampelonne beach might appeal to some. Others may prefer hiking or rock climbing north of town in the famous Gorges du Verdon, widely known as Europe’s Grand Canyon, where crystal blue waters — clear and cold from their source in the Alps — eddy through clefts carved in shear rock cliffs. In the alpine fields of haute des Alpes, elder flowers are grown, then driven by bicycle to be turned into the singular St-Germain liqueur, recognizable around the world for its art-deco bottle and clean, floral flavor. 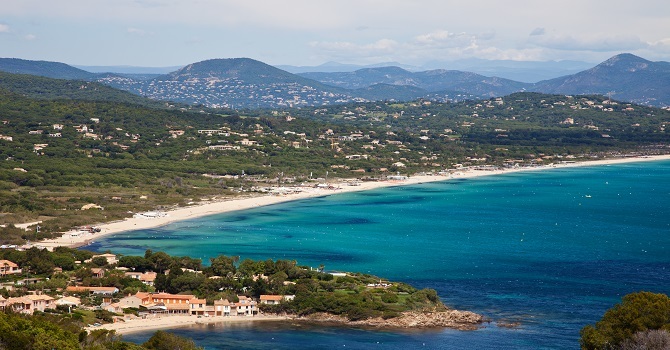 The sun-drenched shores of Saint-Tropez are a fitting finish to any exploration of Provence. La Vague d’Or is yet another Michelin-starred destination restaurant with a menu featuring artistic and innovative seafood, such as their seared langoustines with grapefruit. 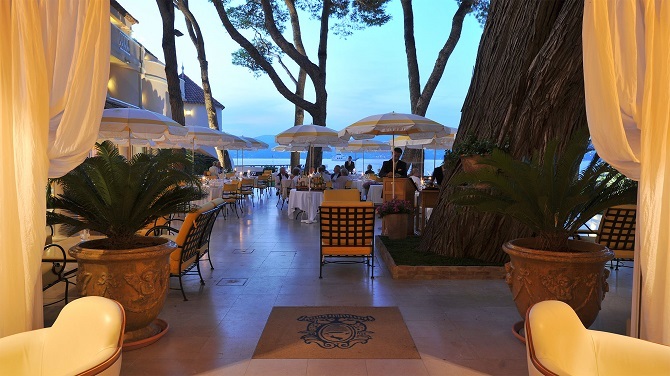 The Hotel de Paris Saint-Tropez offers a chic experience with numerous amenities and views of the harbor, a fine place to rest one’s head after completing the circuit of Provence.